DMG Investments, the developer behind Mc Gowan’s latest construction management project in Cliffside Park, has officially unveiled “One Park,” a 204-unit glass-façade luxury residential building on the New Jersey Gold Coast, overlooking the riverfront of the Palisades Cliffs. 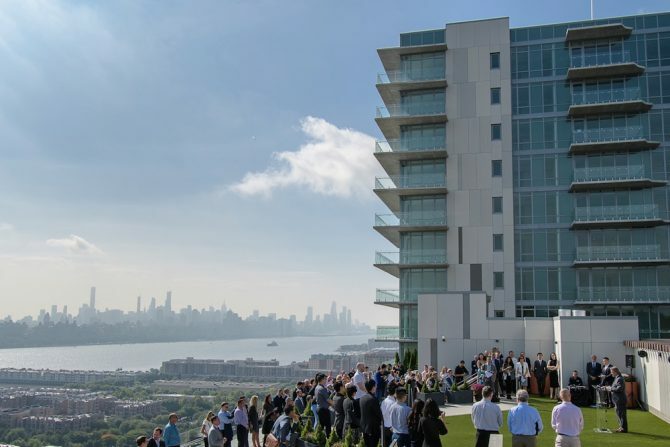 The Mc Gowan team joined local officials and DMG executives to mark the completion of the developer’s first New York metropolitan area project, begun four years ago in an under-recognized area that welcomed investment and offered unparalleled views of the Manhattan skyline. 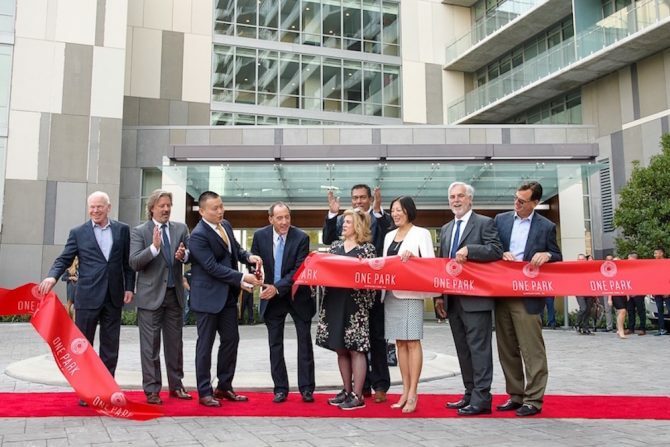 “This building is the first large-scale residential property to be introduced in Cliffside Park in nearly a generation,” said Jacky He, executive vice president with DMG, “and its completion paves the way for the borough to firmly stake its claim as the next premier Hudson River Gold Coast destination. Bringing together forward-thinking interior space design by VLDG Inc. and cutting-edge technology like a fully automated Unitronics parking system, the sophisticated building houses more than 25,000 square feet of indoor and outdoor amenities that include an Aquatic Center, fire pits and a pet spa. One Park’s Architectura-designed structure and unique glass wall exterior will be a formidable presence on “The Avenue,” the main thoroughfare of boutiques and dining in this growing community, for many years to come and the Mc Gowan team is proud to be behind its trailblazing construction. 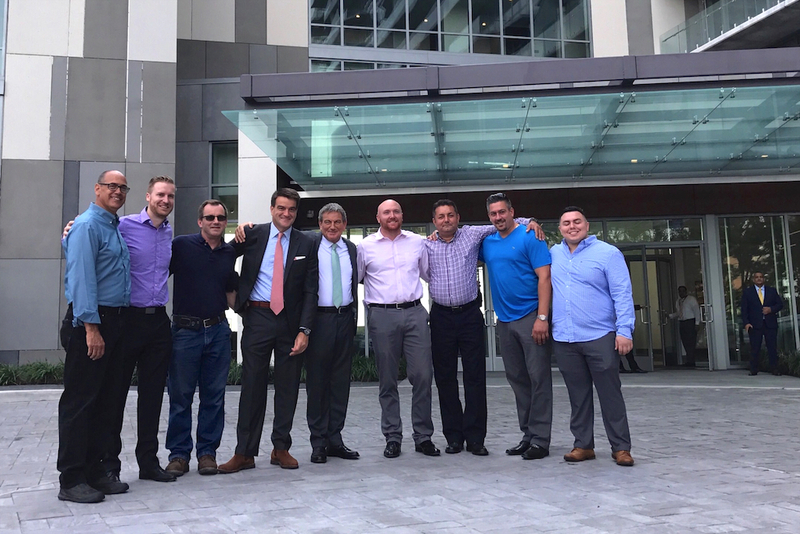 Read the full Real Estate NJ article. View full project details, photos and video of One Park’s construction in our Projects Library.